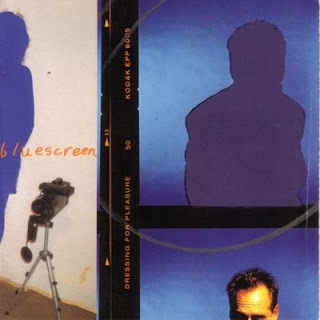 Jon Hassell & Bluescreen: Jon Hassell (vocals, trumpet, keyboards); Joe Gore (guitar); Pete Scaturro (bass, keyboards, drum programming); Brain (drums, percussion); BLK Lion (samples, programming). Additional personnel: Islam Shabazz (vocals, bass); Leslie Winer, Zoe Ellis (vocals); Gregg Arreguin (guitar); Kenny Garrett (saxophone); Greg Kurstin (piano); Jamie Muhoberac (synthesizer); Trevor Dunn (acoustic bass); Flea, Peter Freeman, Buckethead (bass); Adam Rudolph (drums, percussion); Lee Curreri (programming); DJ Grand Shogun KB (scratches). Recorded at Mutron Studios, San Francisco, California between July and December, 1993; Urban Beach Studio, Venice, California in December, 1993; West Hollywood, California in November, 1989. Hassell has extracted the crunchy and dense rhythmic base from the mechanics of dark urban musics--most specifically hip-hop--jettisoned the violent misogyny, and essentially mutated everything else. What oozes out of your speakers is the some of the "freshest" stuff he's done in an already long and mercurial career. Here, Hassell plays straight, with no MIDI chaser--although electronics purr below the toxic grooves. For the most part, he's playing his famous trumpet sans technology. The kicker is that he's come up with some amazing music, aided and abetted by his new ensemble Bluescreen. There exists a vague aesthetic link between DRESSING FOR PLEASURE and a good chunk of Bill Laswell's Axiom catalog, but nothing of this ilk has ever seen daylight before. Sample the polymorphous-ly perverse Arabic twists of "Destination Bakiff," the AGHARTA gut-bucket funk of "Club Zombie," or the Egyptian guitar strut of "Mati." Hassell was ahead of the pack when he first probed the Fourth World diaspora. Here, he applies the same exploratory sense of purpose to the concrete jungle--with devastating results.